The all-new BMW Z4 roadster is real and it's red-hot. 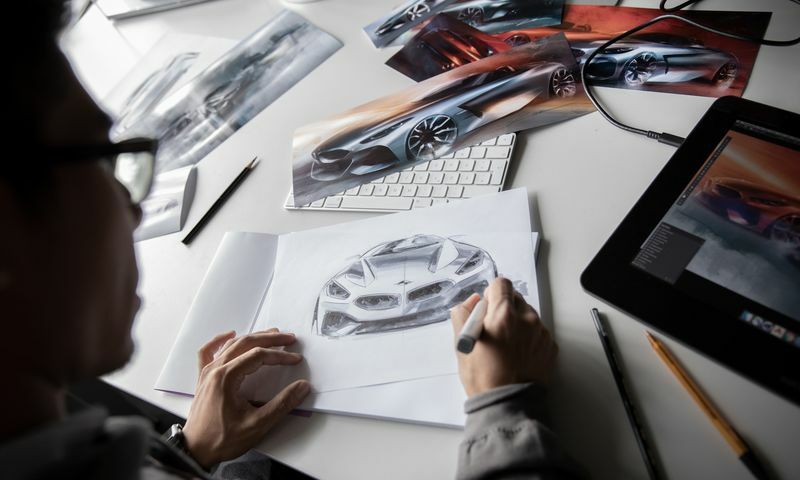 After a year of hints and teases, starting from a futuristic concept car in California exactly a year ago, the showroom-ready handiwork of Australian designer Calvin Luk was finally unveiled today at Monterey Car Week. 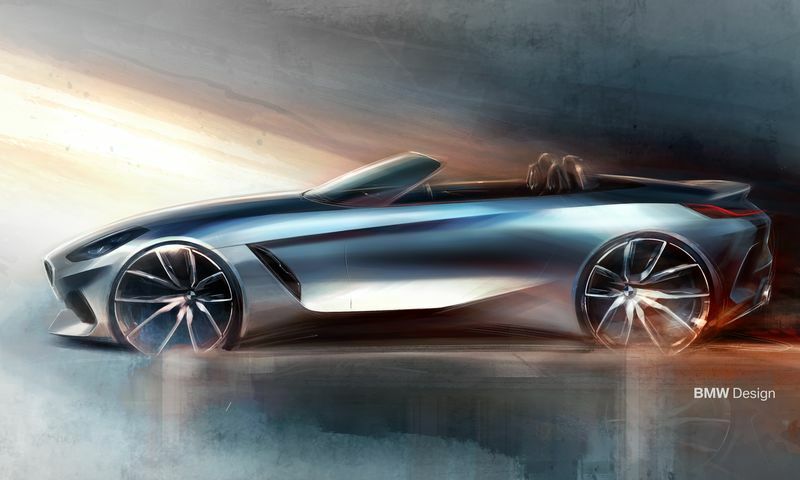 The end result is modern, edgy and sharply crafted for the third generation of BMW’s driver-focussed two-seat roadster. 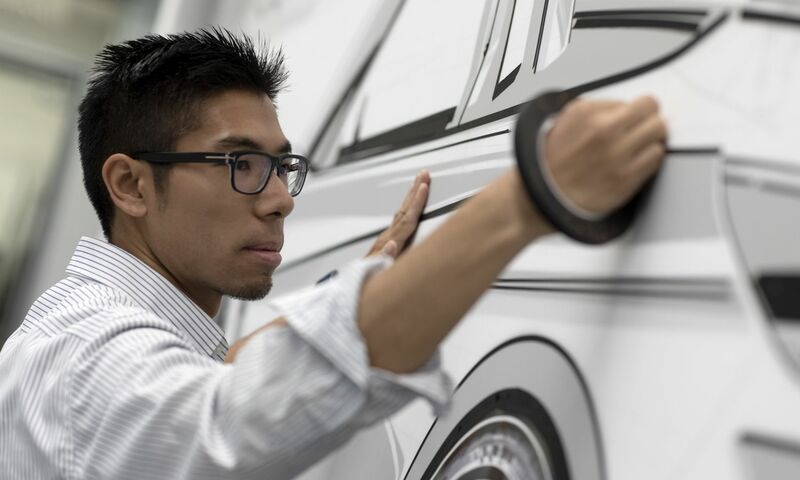 ... but the basics are the same and reflect the talent that has taken 32-year-old Luk to the cutting edge of BMW design. 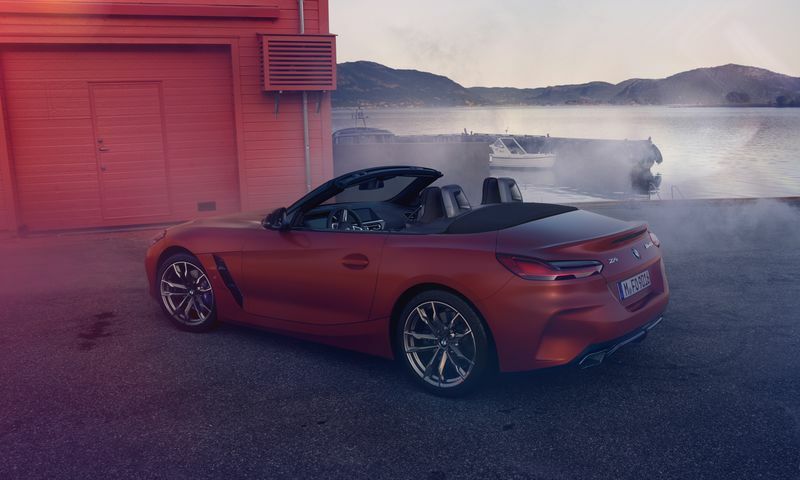 A big change for the new Z4 is a return to a folding canvas roof, instead of a multi-part composite clamshell, in a move that cuts weight, improves boot space and gives a more driver-focussed impact. 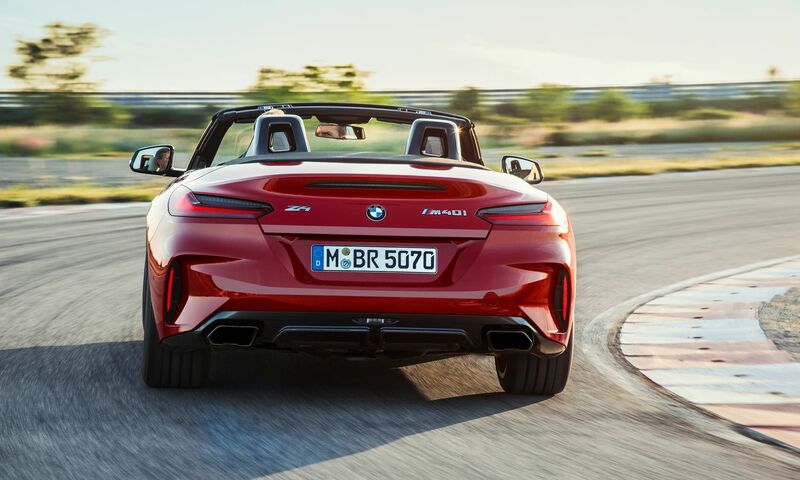 It takes just 10 seconds to go up or down, at up to 50km/h, and the boot is now 48 litres bigger than the second-series Z4. 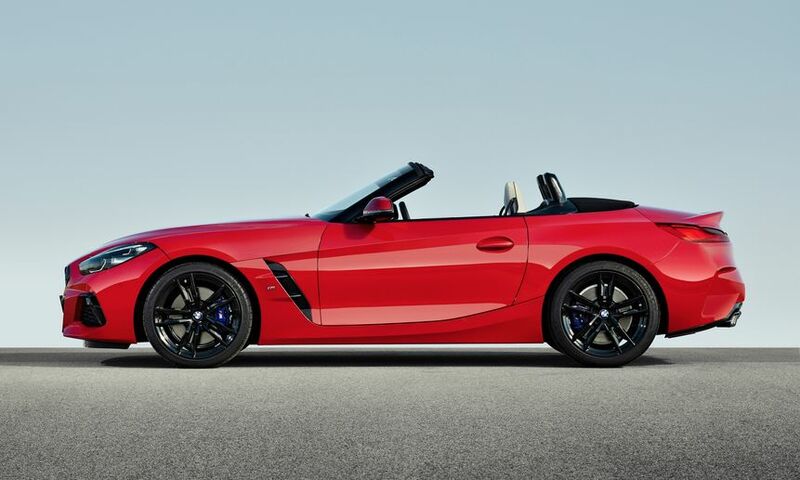 ... and, not surprisingly, the low-slung tail as a smoothly-integrated spoiler and twin exhaust tips. Luk did the hard work on the Z4 but it’s BMW’s design boss Adrian van Hooydonk, who speaks for the car in Monterey. 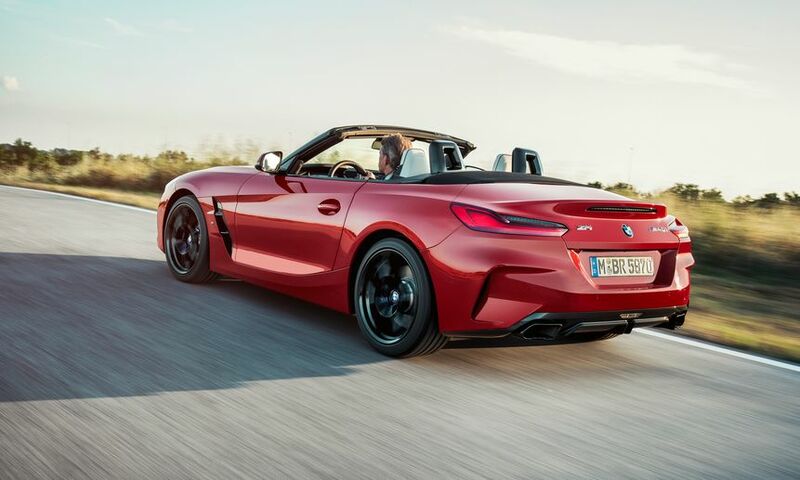 “A shorter bonnet and crisp overhangs ensure the driver sits closer to the centre of the car than in previous BMW roadsters,” he says. 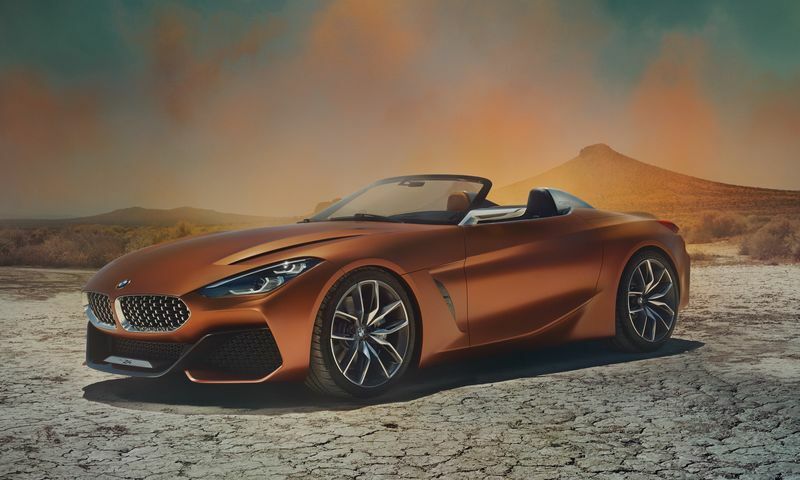 What we saw at Monterey was the fully tricked-out Z4 M40i First Edition dressed in eye-catching Frozen Orange metallic sheen dressed with 19-inch light alloy wheels in a bicolour, double spoke design. 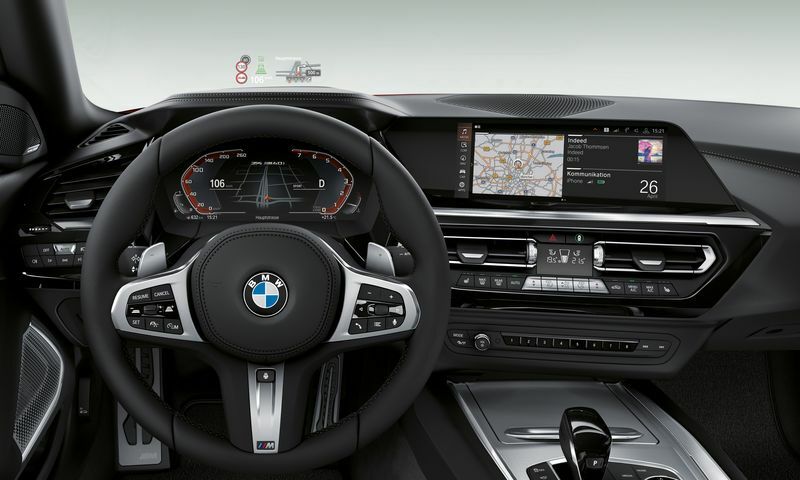 ... including a restyled version of the iDrive infotainment system which blends into the main instrument panel, while the new BMW Live Cockpit Professional system ties together the instrument and infotainment displays. Tech includes a heads-up display and Harmon-Kardon sound system. 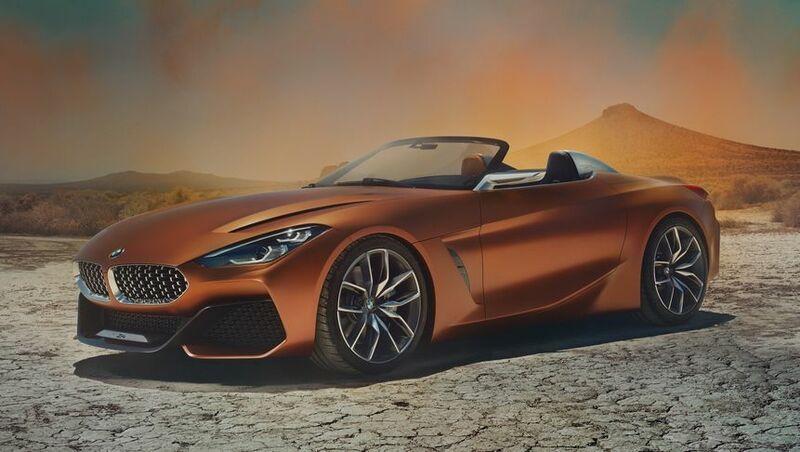 Ironically for a car which is so iconically BMW, the new Z4 is a twin beneath the skin with the upcoming Toyota Supra. 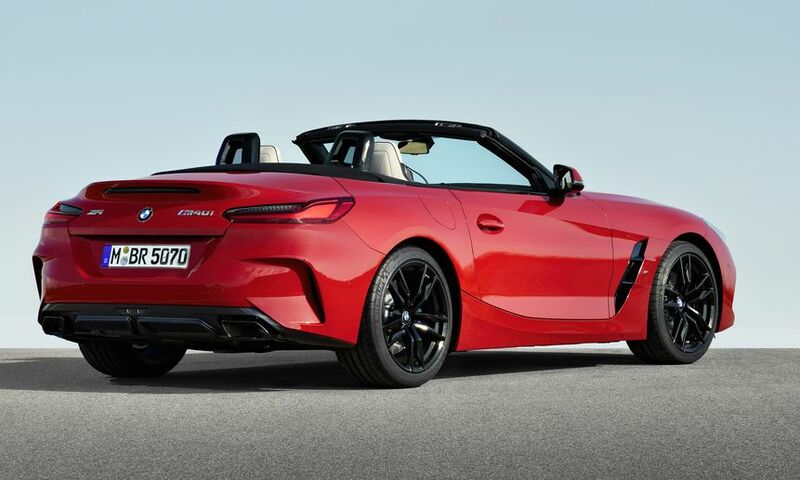 The joint project was a way for the two car companies to cut time and cost from the development program, but each has a unique final design as BMW takes the convertible high ground and Toyota continues with a coupe. 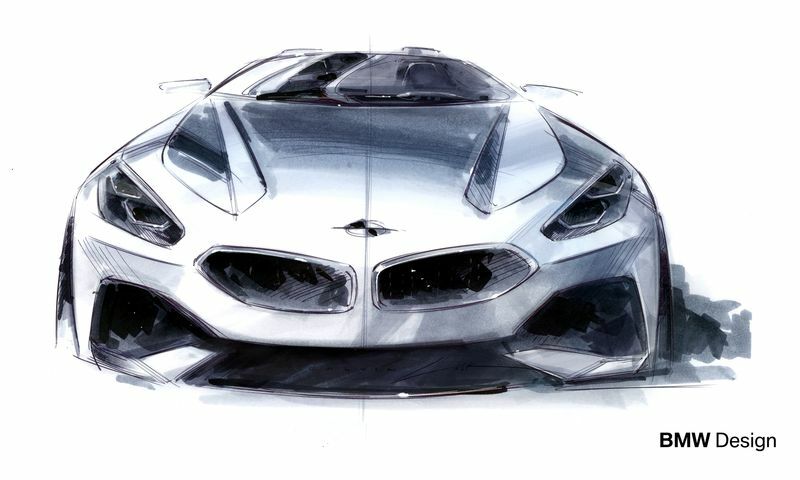 The Z4 and Supra are both planned to be built at Graz in Austria. 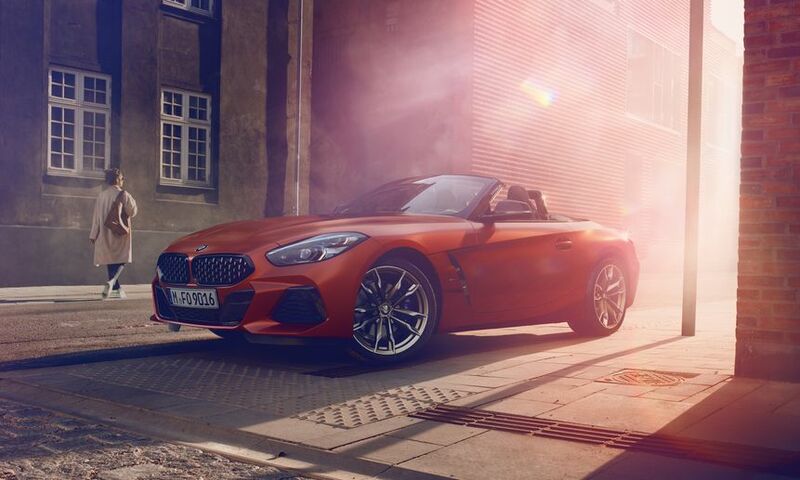 In BMW's high-performance M version of the new Z4 or a more standard model, chassis boss Jos van As confirms the car has been developed for maximum driving enjoyment. 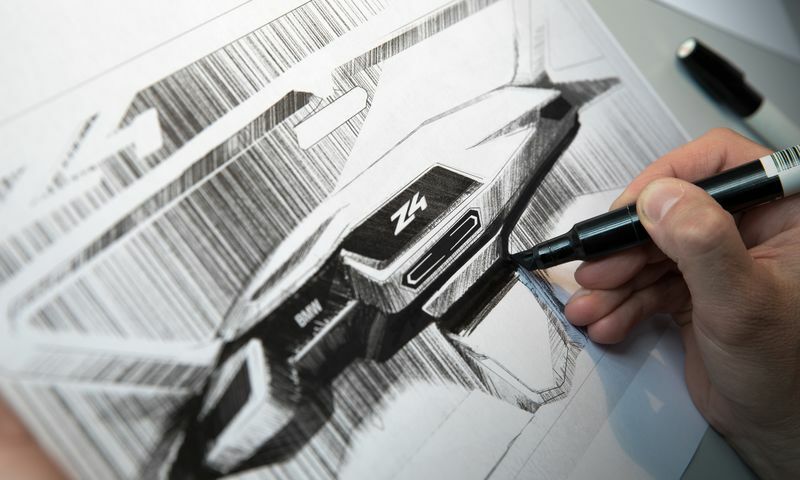 “Increased rigidity and a very stiff connection between the chassis and body structure offer idea conditions for tuning,” says van As. 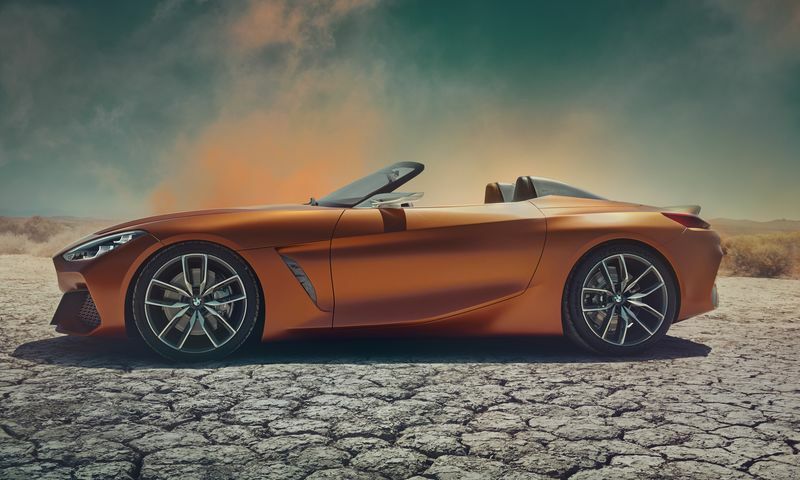 BMW will announce the full Z4 range details 19 September 2018, ahead of a worldwide market launch starting in Q2 2019. 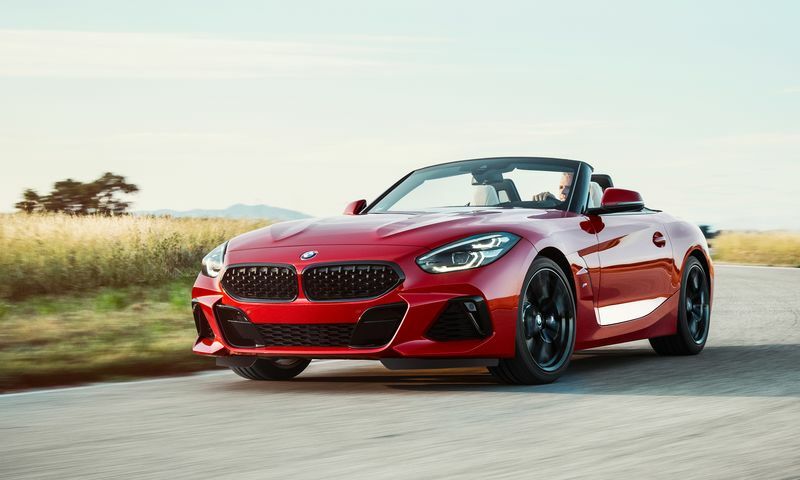 BMW pulled back the covers on its all-new Z4 coupe overnight at Monterey Car Week, aka Pebble Beach. 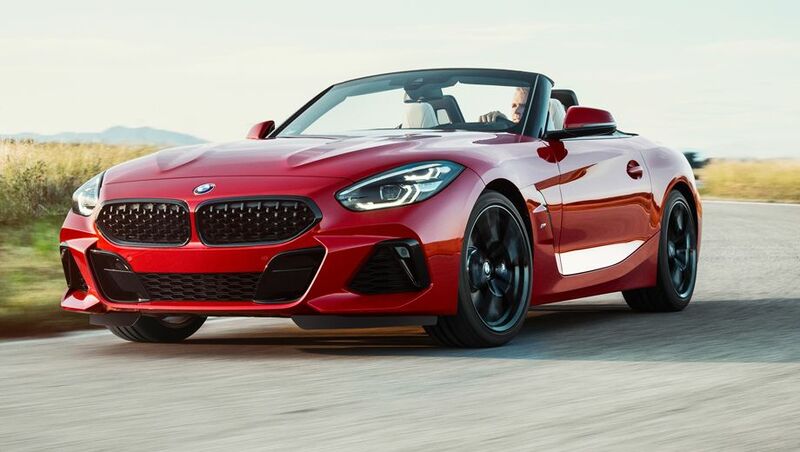 The sporty jaunty Z4 roadster will be the hottest new sports car of 2018. 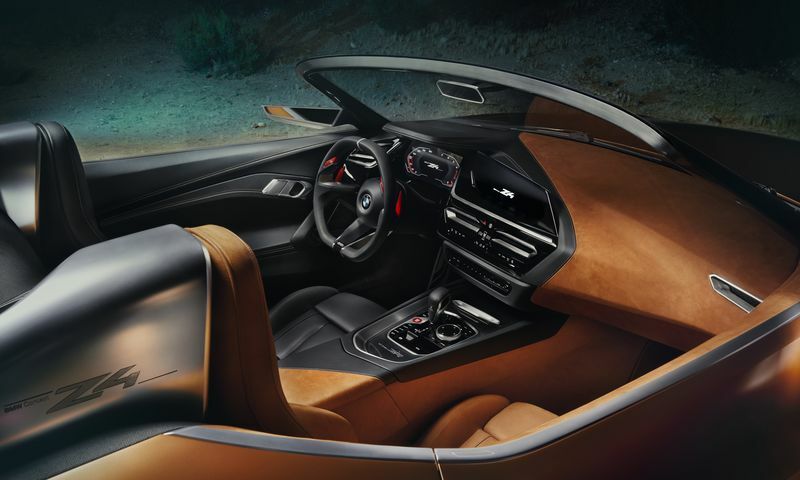 The design is a rakish update of the current Z4. 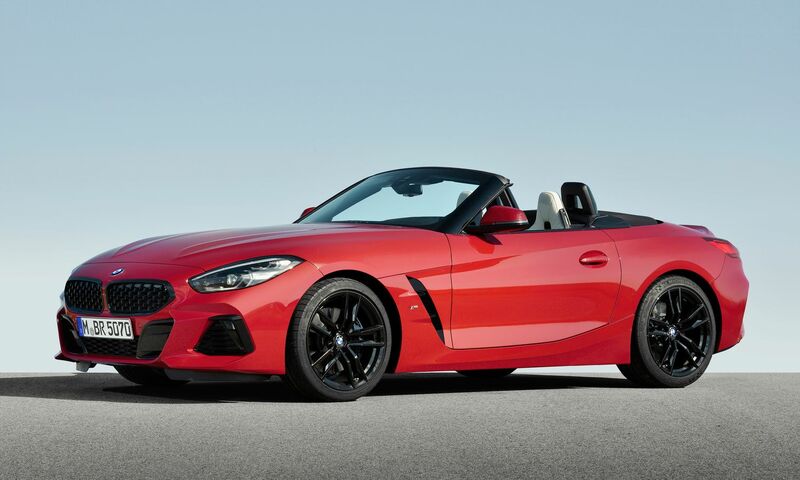 Like all coupes, the new BMW Z4 looks best when you drop the top. 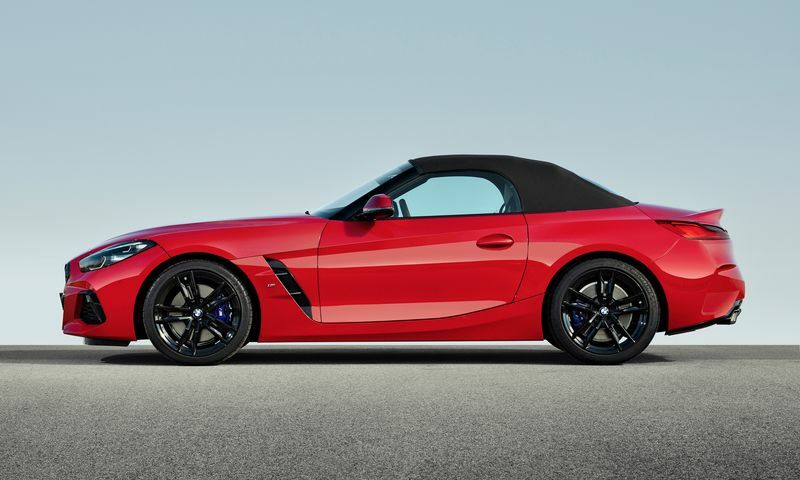 But it's no slouch with the roof in position, either. 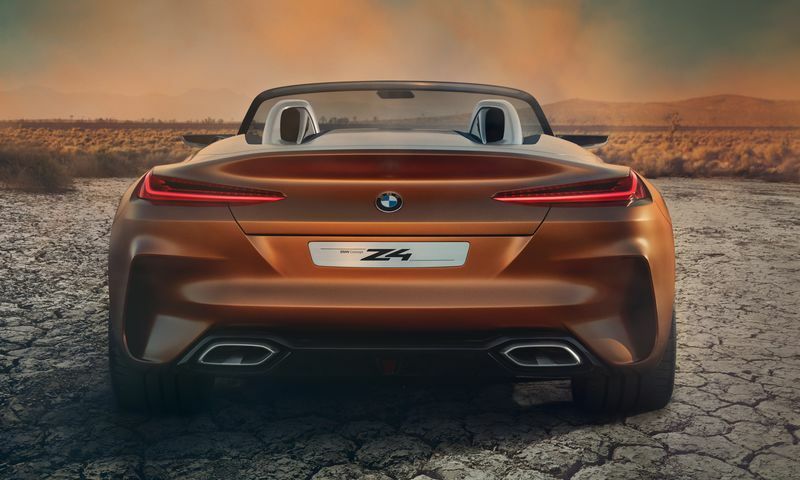 Oh, you want some moody atmos shots of the Z4? Done. 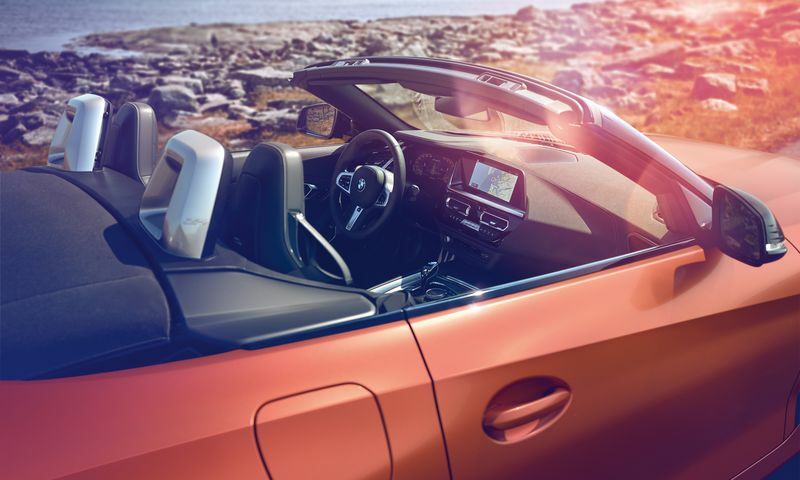 The Z4 makes no apologies for the inherent selfishness of being a pure two-seater. 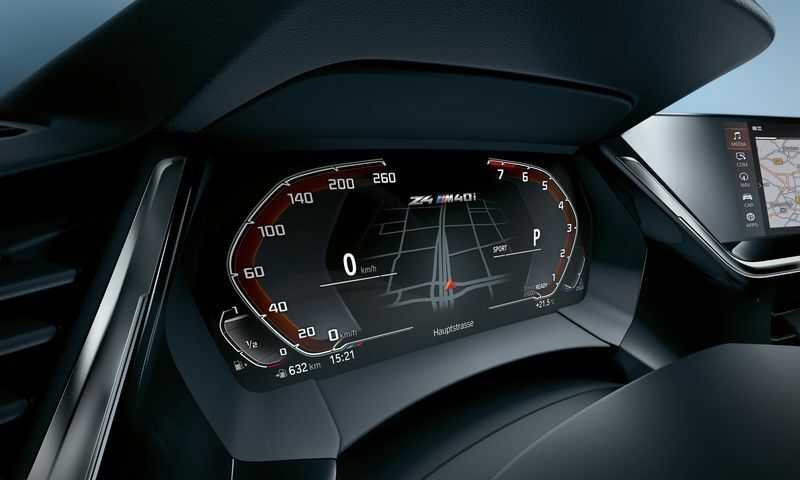 The Z4's cockpit is boldly futuristic. 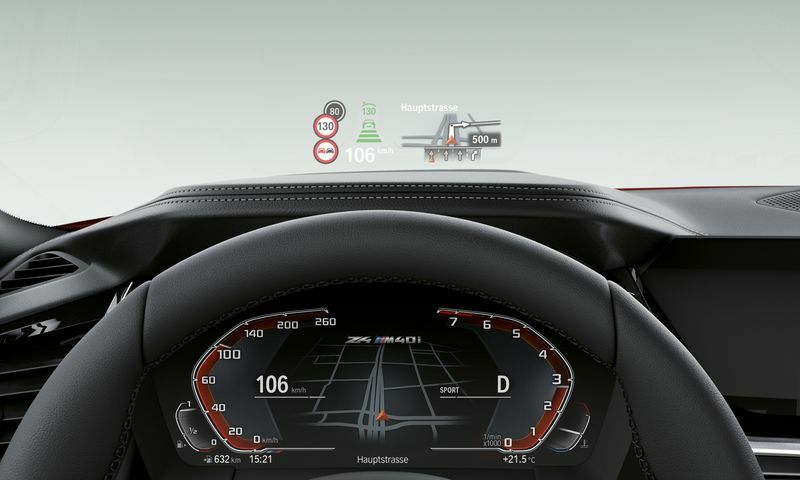 Notice the info-packed heads-up display reflected onto the windscreen. 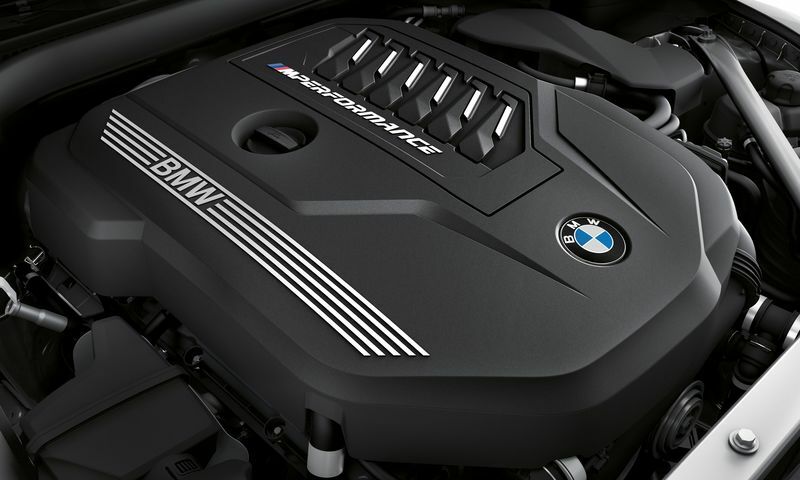 Plenty of grunt under the hood. 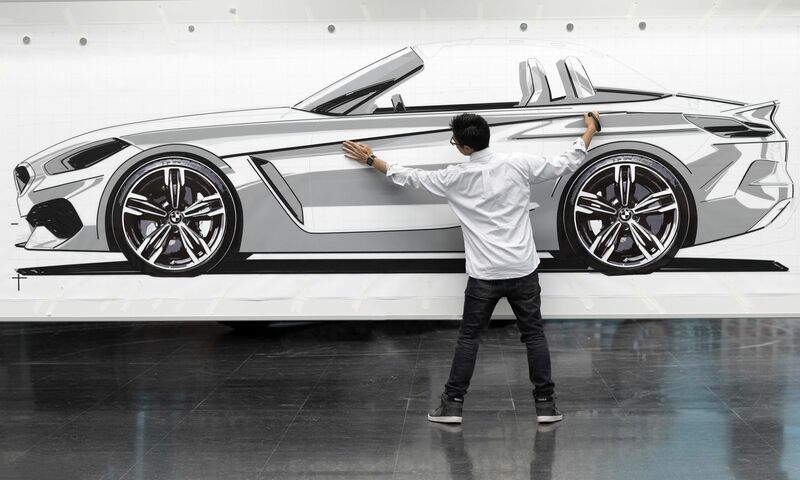 BMW's star designer Calvin Luk shaped the new Z4. 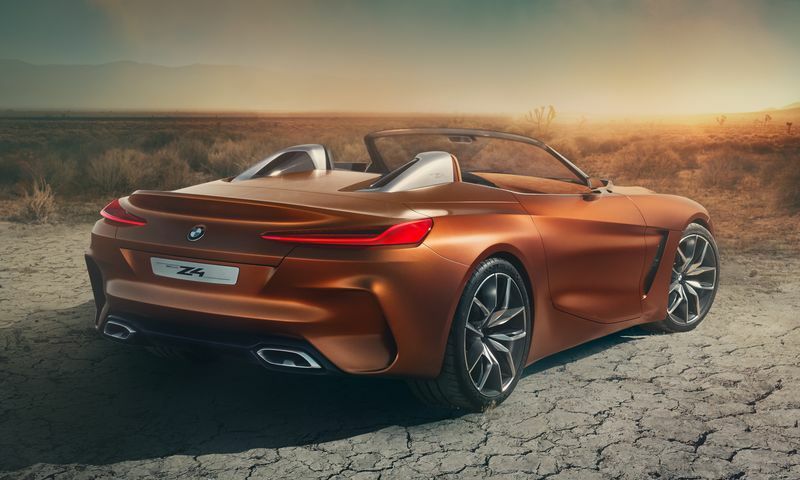 How on earth did BMW allow the concept to be dumbed down so much that they've made the front end look like the ridiculous Fiat 124 spider? Such a great opportunity wasted. .......And I've owned an E85, E85 and also an E89 zed - I won't be being this version - bland bland bland. Bland? I can see it's a sweeping change from the earlier Zs but I'm loving the sharper look! If we knew it we'd have included it. 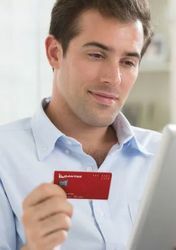 Mmmm the concept looks better... there is just something expected and safe about the new design. 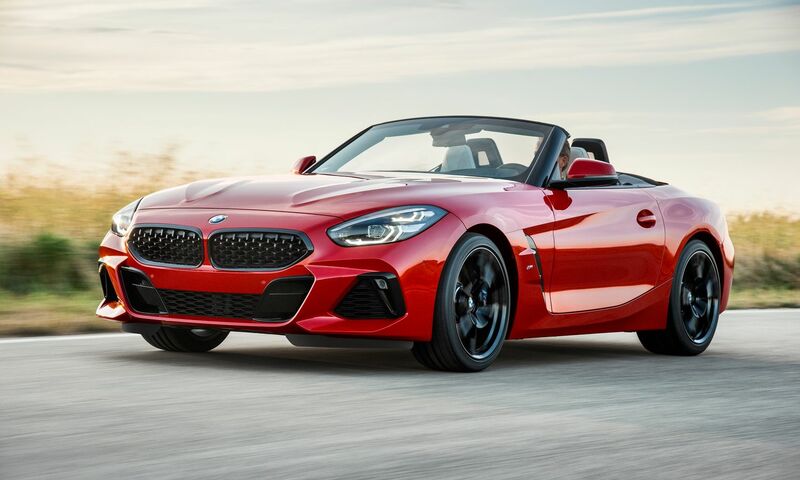 Agree with the above comment that the E85 coupe is still the best looking Z4 out there (I’d say one of the best looking cars full stop - will be a classic). 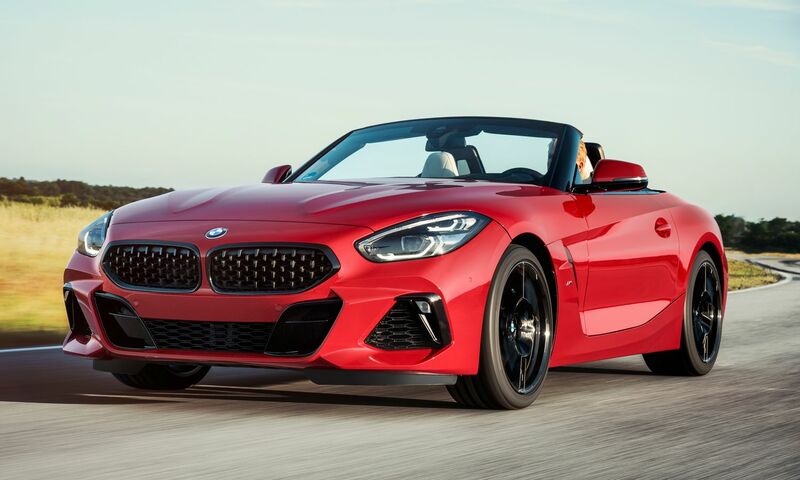 Comment on "Photos: here is BMW's all-new Z4 coupe"